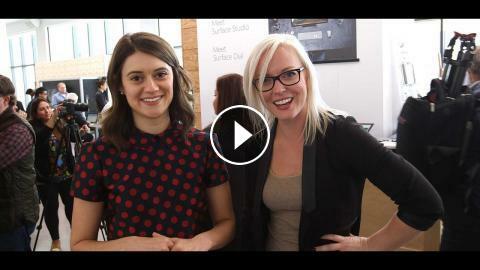 ﻿ This Week On Windows: Surface Studio, Surface Dial, and Windows 10 Creators Update ANNOUNCEMENTS! This Week on Windows: We’ve got some big reveals from the Big Apple, we’re talking a new Windows 10 update, new technology, and of course rad new devices! Windows Defender Advanced Threat Protection for Windows 10 in the Creators Update. This Week on Windows: PC Gaming at E3, Spotify, Surface and 360 Degree Videos! Surface Dial, hands-on: haptic wheel works with Surface computers. This Week on Windows: Surface Pro Announcement, Movies and TV Deals and More! This Week on Windows: Hardware Announcements, Wonder Woman in UHD and More!